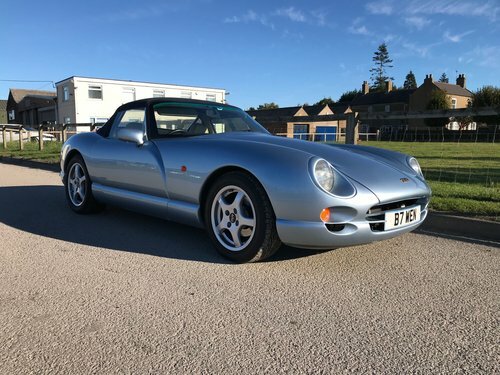 Stunning low mileage Chimera 450 finished in metallic Azure Blue with dark blue mohair hood and contrasting blue/magnolia half hide interior. 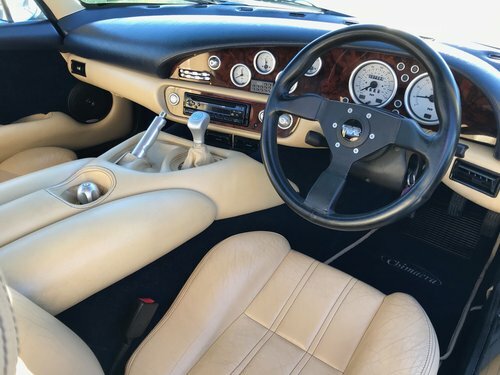 The car has recently been fully re carpeted and is in fantastic condition inside and out. 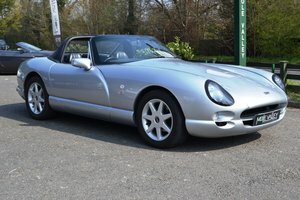 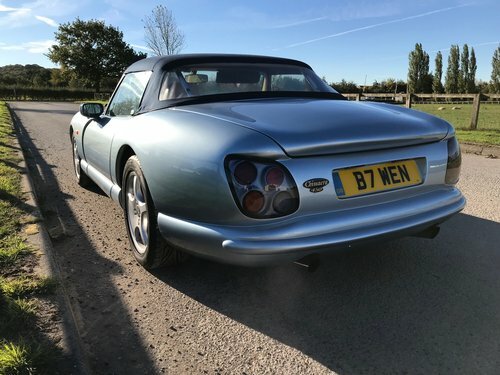 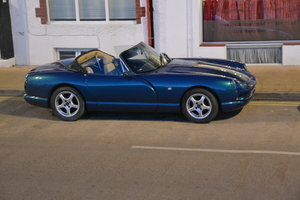 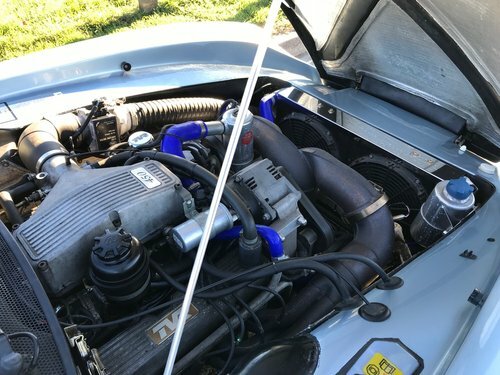 The car has full TVR service history, we have looked after it since 2007.The car has an alloy radiator, silicone coolant hoses, and an oil cooler fitted as the previous owner drove the car down to his property in the south of France over the summer and did not want any over heating issues. 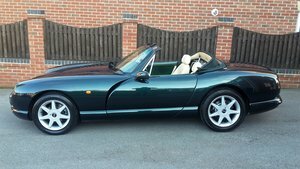 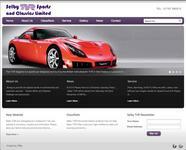 The car will come serviced with 12 Months MOT & Warranty. 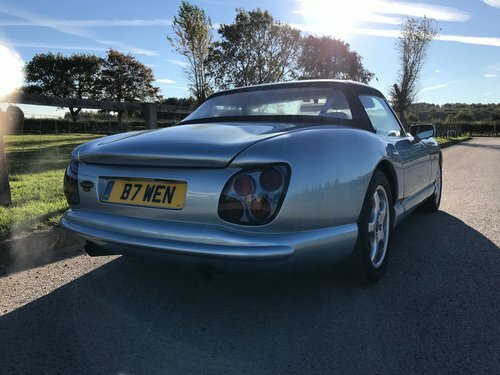 Other upgrades include a Anderson connector jump start cable under the bonnet, upgrade Alarm/immobiliser with remote boot release, various alloy leven trim parts.